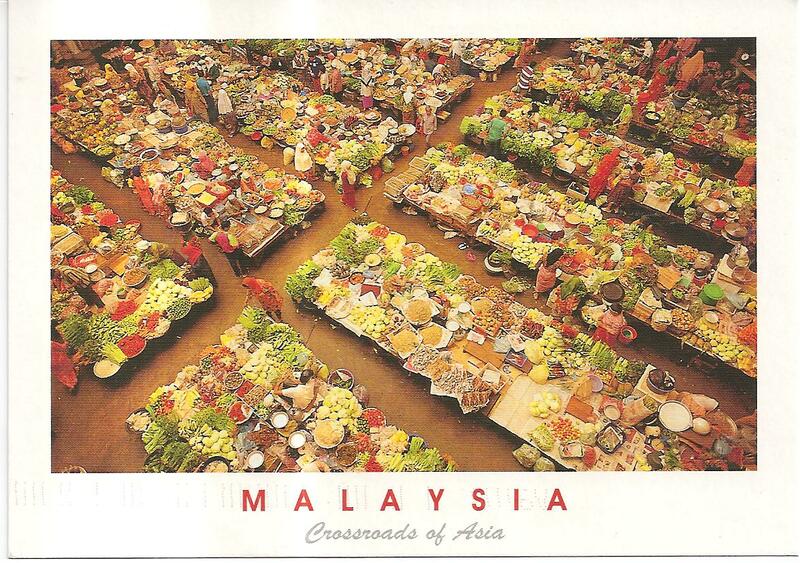 A postcard from Malaysia, sent by Chern Chung for the Many Themes RR – markets tag in postcrossing forum. The postcard shows Siti Khadijah Market, the biggest market in Kota Bharu, the state capital of Kelantan in northeast of West Malaysia. I have visited the market many times, and since 2006 until now, at least once a year! I was there last July during my long summer vacation in Malaysia. Chung affixed the 50 cent definitive stamp. The postmark date is 11 August 2012 and the location is Melaka. Thank you Chung! During my long summer vacation in Malaysia, I visited Kota Bharu, the state capital of Kelantan on east coast of Peninsular Malaysia for three days in the middle of July. It’s now like a custom to me to go and visit Kota Bharu at least once a year! This time I managed to stop by at Kota Bharu General Post Office and decided to send a cover to my Canadian address. Unfortunately the post office has ran out of Kelantan state definitive stamps, so I had to use Malaysia definitive stamps. 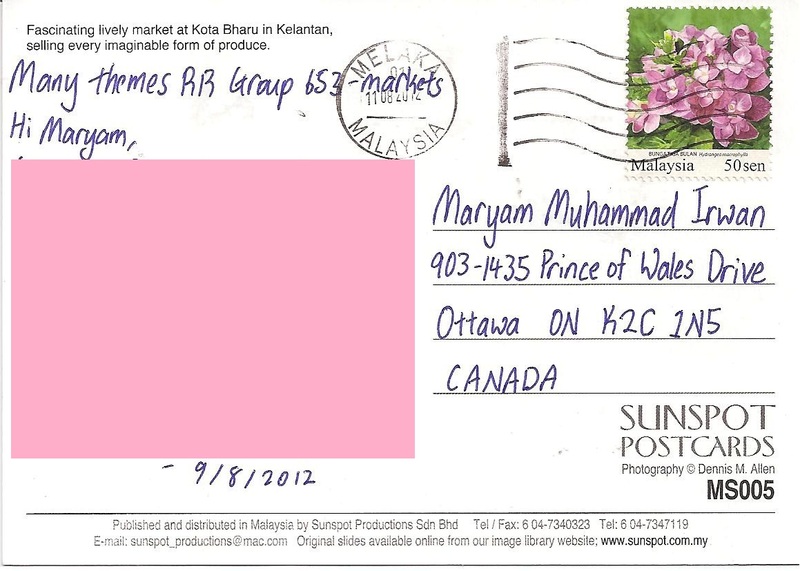 The postmark date is 12 July 2012, and the location is Kota Bharu, Malaysia.